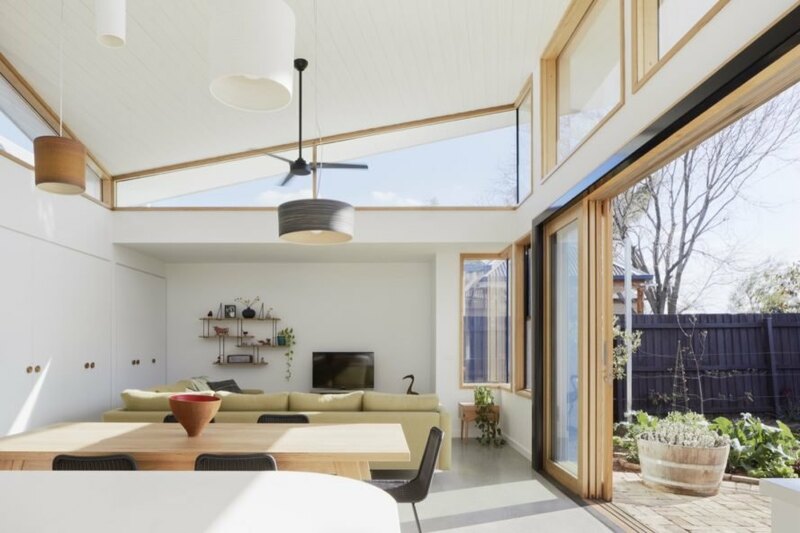 A century-old Edwardian home has been updated with an airy and environmentally-friendly extension in Melbourne, Australia. 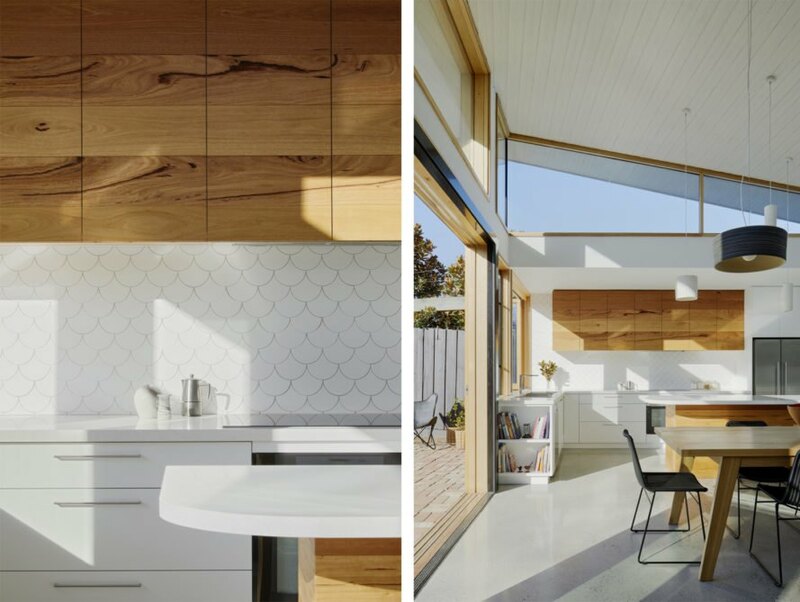 Commissioned by clients who had recently returned to Melbourne to settle down after years of working and traveling overseas, the renovated dwelling — called the Glide House — was crafted by local architecture firm Ben Callery Architects to serve as a space that would embody the clients’ adventurous spirits. The extension’s butterfly roof adds sculptural flair to the new building, which was also integrated with energy-efficient features and local materials for low environmental impact. 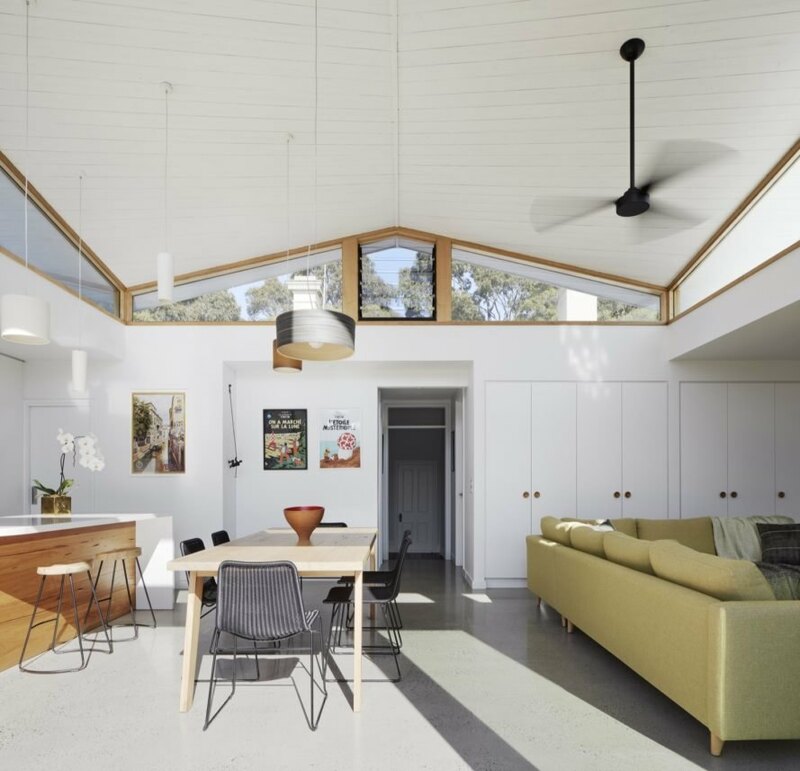 Working with a $350,000 AUD ($258,321 USD) budget, Ben Callery Architects emphasized flexibility in their redesign and expansion of the Glide House. The existing double-fronted Edwardian was left intact, however, the interior four rooms were reassigned to serve as flex rooms that could be easily adapted into bedrooms, living rooms or even workspaces. Currently, the original structure comprises the master bedroom, two bedrooms and the lounge. 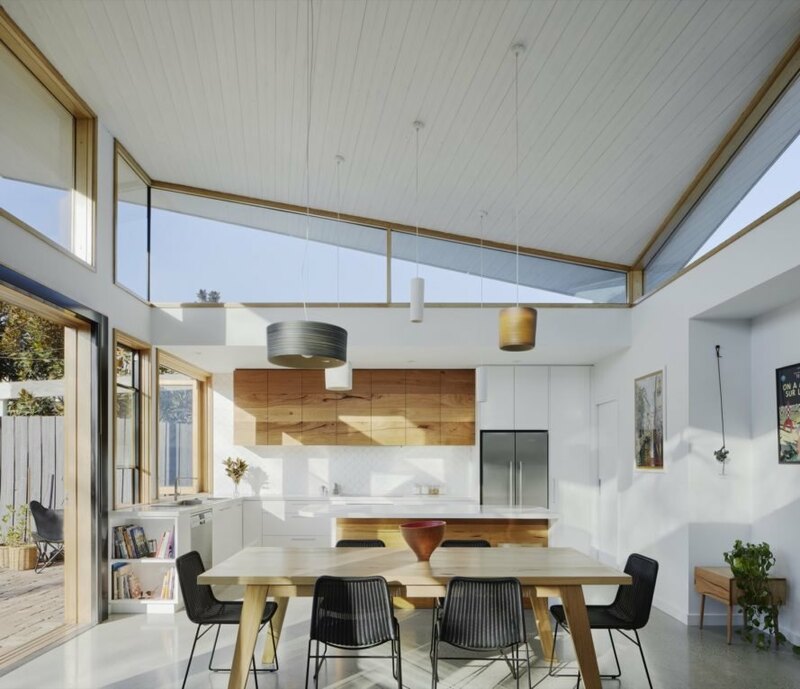 As a result, the new extension is flooded with natural light yet is protected from unwanted solar gain in summer by the roof’s sweeping eaves. Clerestory windows let in cooling cross breezes and provide glimpses of the tree canopy. Recycled materials are used throughout the home, from the reclaimed timber in the cabinetry to the recycled brick pavers. Locally sourced materials were used wherever possible. Double-glazed windows and highly effective insulation also ensure energy efficiency. The extension is wrapped in charred timber shiplap cladding. Clerestory windows let in cooling cross breezes. The cabinets are made from recycled wood. The light-filled extension contrasts with the dark, original Edwardian. Natural light floods the great room through double-glazed windows. A look at the floor plan of Glide House.